There are some great opportunities for people of all backgrounds to start a career in nursing as a paid trainee. As the diagnosis and treatment of health conditions advance people are living longer with more than one complex condition, resulting in an increased demand for healthcare practitioners. Oxford Health is offering the opportunity for people to join the nursing associate training programme and train for a newly created role at the trust. Designed to upskill current healthcare workers or act as a stepping stone for those new to the field, the two-year programme combines and integrates both academic and work-based learning through collaboration between the trust and Buckinghamshire New University. Emily Cousins, currently a nurse associate trainee at the trust, said: “The training programme is great because there is a lot of support around you. I have made friends with other nursing associate trainees and we can share our experiences and knowledge. At the end of the programme, each trainee nursing associate will be equipped with the knowledge, understanding, skills, attitudes and behaviours relevant to employment as a nursing associate. They will then have the option to continue work as a nursing associate or to pursue further education to become a registered nurse. Rebecca Elsworth, apprenticeship manager at the trust, said: “This new training role will provide a progression route to graduate level nursing for health care assistants and others interested in the field. 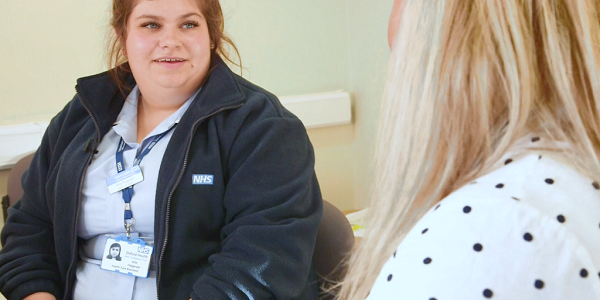 The nursing associate trainees are part of a larger apprenticeship scheme with Oxford Health. Ranging from 15 months to two years, each placement provides apprentices with training from experts in different fields that can lead to a variety of career options. You can learn more about the apprenticeship programme and meet some trainees here. Apply for the nursing associate training programme today.